Despite his invaluable help during World War II AND all his other achievements, he was treated badly. A burglary at his home led Turing to admit to police that he was a practicing homosexual, at a time when it was illegal in Britain. This led to his arrest and conviction in 1952 for ‘gross indecency’. He was subsequently forced to choose between imprisonment and chemical castration. He chose chemical castration (treatment with female hormones) as an alternative to prison.As a result of his conviction he lost security clearance and was not allowed to continue his work. Sadly On 8 June 1954 just over two weeks before his 42nd birthday, Turing was found dead from cyanide poisoning. An inquest determined that his death was suicide and he had poisoned himself with cyanide. Since Turing’s birth, attitudes have changed and The US-based Association of Computing Machinery has given The Turing Award annually since 1966. This is the computing world’s highest honour for technical contribution to the computing community and considered equivalent to the Nobel prize.On 10 September 2009, following an Internet campaign, British Prime Minister Gordon Brown also made an official public apology on behalf of the British government for “the appalling way he was treated”.Despite his valuable contributions Turing did not receive the recognition and plaudits that he deserved while alive, However this has now been redressed and there is now A fully functional replica of the Bombe which can be found today at Bletchley Park, along with the excellent Turing exhibition. Turing has also been immortalised on film in The Imitation Game starring Benedict Cumberbatch. On June 22, 2015,the Prolific Oscar Award winning Film Score Composer James Horner was tragically killed at the age of 61 when his Embraer EMB 312 Tucano turboprop aircraft crashed into the Los Padres National Forest in southern California. Born August 14, 1953. Horner was an accomplished concert hall composer before he moved into writing film scores and he became known for integrating choral and electronic elements in many of his film scores, and frequently used Celtic musical elements. He began his career scoring films by working for B film director and producer Roger Corman. His first composer credit was for Roger Corman’s Battle Beyond the Stars. He then scored Lady in Red and his works steadily gained notice in Hollywood, Horner made a breakthrough in 1982, when he had the chance to score for Star Trek II: The Wrath of Khan, establishing himself as a mainstream composer. Horner continued composing music for high-profile releases during the 1980s, including 48 Hrs. (1982), Krull (1983), Star Trek III: The Search for Spock (1984), Commando (1985), Cocoon (1985), Aliens (1986), *batteries not included (1987), Willow (1988), Glory and Field of Dreams (both 1989). Horner also collaborated multiple times with directors Jean-Jacques Annaud, Mel Gibson, Walter Hill, Ron Howard, and Joe Johnston. Horner composed music for over 100 films, and won two Academy Awards, two Golden Globe Awards, three Satellite Awards, three Saturn Awards, and was nominated for three British Academy Film Awards. 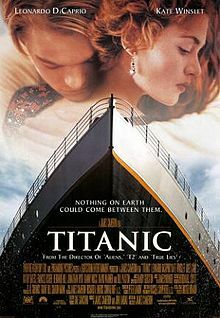 Horner’s score for Titanic is the best selling orchestral film soundtrack of all time while Titanic and Avatar, both directed by James Cameron, are the two highest-grossing films of all time. At the 70th Academy Awards, Horner won Oscars for Best Original Dramatic Score and Best Original Song for “My Heart Will Go On” (which he co-wrote with Will Jennings). In addition, Horner and Jennings won three Grammy Awards and two Golden Globe Awards for the soundtrack and My Heart Will Go On. Titanic also marked the first time in ten years that Horner worked with director James Cameron (following the highly stressful scoring sessions for Aliens, Horner declared that he would never work with Cameron again and described the experience as “a nightmare”). After Titanic, Horner scored The Perfect Storm, A Beautiful Mind, Enemy At The Gates, The Mask of Zorro, The Legend of Zorro, House of Sand and Fog and Bicentennial Man). Horner also worked on smaller projects such as Iris, Radio and Bobby Jones: A Stroke of Genius. He received his eighth and ninth Academy Award nominations for A Beautiful Mind (2001) and House of Sand and Fog (2003), but lost on both occasions to Howard Shore. He frequently collaborated with film director Ron Howard, beginning with Cocoon in 1985. Horner composed the 2006–2011 theme music for the CBS Evening News. The theme was introduced as part of the debut of Katie Couric as anchor on September 5, 2006. 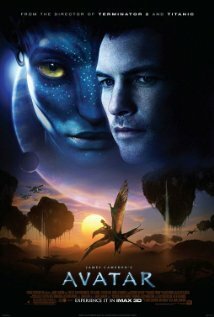 Horner recollaborated with James Cameron on the 2009 film Avatar, which became the highest-grossing film of all time, surpassing Titanic (also directed by Cameron and scored by Horner) and was nominated for a Golden Globe, British Academy Film Award and Grammy Award but lost out to Michael Giacchino for Up. Horner also composed the score for the 2010 version of The Karate Kid and In 2011, Horner scored Cristiada (aka For Greater Glory) which was released a year later and Black Gold. In 2012 Horner scored The Amazing Spider-Man, and in 2015, and wrote the music for Jean-Jacques Annaud’s adventure film Wolf Totem, which marked his fourth collaboration with Annaud and also Horner’s first film score in nearly three years. At the time of his death in 2015, projects to which Horner was attached included the forthcoming film The 33 for director Patricia Riggen, and Southpaw, a sports drama film directed by Antoine Fuqua and starring Jake Gyllenhaal and Rachel McAdams. Both films are slated for release later in 2015. Horner’s scores have been sampled in trailers for other films. The climax of the track Bishop’s Countdown from his score for Aliens ranks fifth in the most commonly used soundtrack cues for film trailers. In 2014, Horner composed the commission piece Pas de Deux, a Double Concerto for Violin and Cello, which was premiered on November 12, 2014, by Mari and Hakon Samuelsen with the Royal Liverpool Philharmonic Orchestra conducted by Vasily Petrenko. The work was commissioned to mark the 175th season of the Royal Liverpool Philharmonic. Horner also composed Collage, a Concerto for Four Horns, which premiered on March 27, 2015, at the Royal Festival Hall in London by the London Philharmonic Orchestra conducted by Jaime Martin, with David Pyatt, John Ryan, James Thatcher and Richard Watkins. International Widows Day takes place annually on 23 June. It was set up by the United Nations to address the “poverty and injustice faced by millions of widows and their dependents in many countries” and raise awareness of the issue of widowhood. The significance of 23 June is that it was on that day in 1954 that Shrimati Pushpa Wati Loomba, mother of the foundation’s founder, Lord Loomba, became a widow. One of the foundation’s key goals is to highlight what it describes as an invisible calamity. A 2010 book, Invisible, Forgotten Sufferers: The Plight of Widows Around the World, estimates that there are 245 million widows worldwide, 115 million of whom live in poverty and suffer from social stigmatization and economic deprivation purely because they have lost their husbands.As part of the Loomba Foundation’s awareness campaign, this study was presented to UN Secretary General Ban Ki-moon on 22 June 2010.